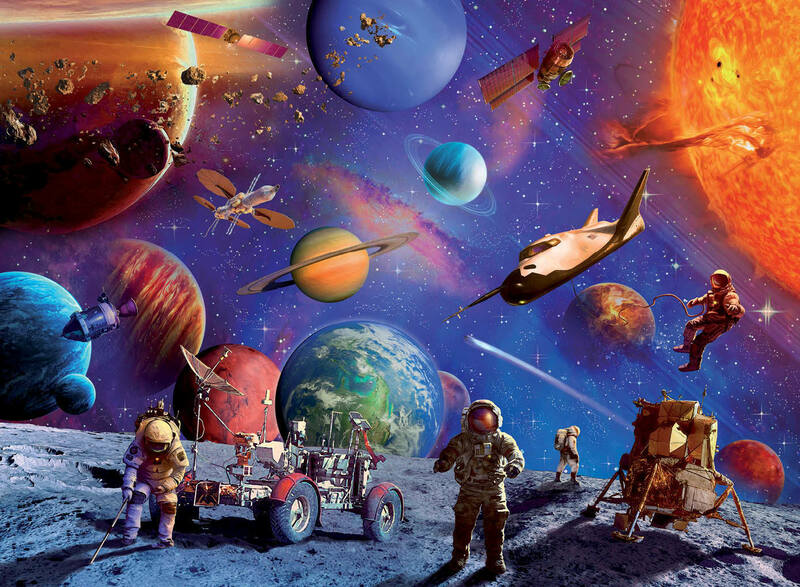 Its a very busy day out in the universe! 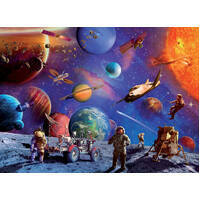 Piece together this exciting space adventure scene and bring the action to life. 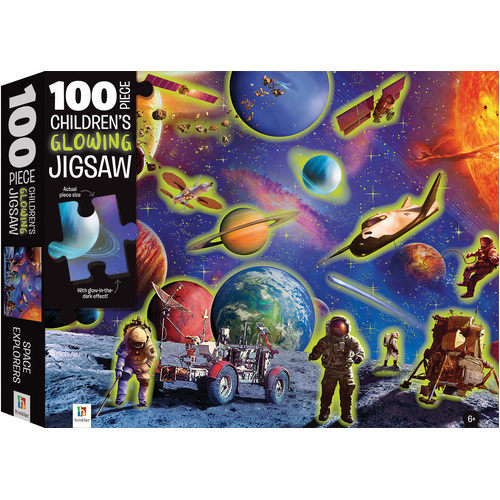 With glow-in-the-dark astronauts and intergalactic highlighted pieces, this jigsaw will make for an exciting experience for little hands. 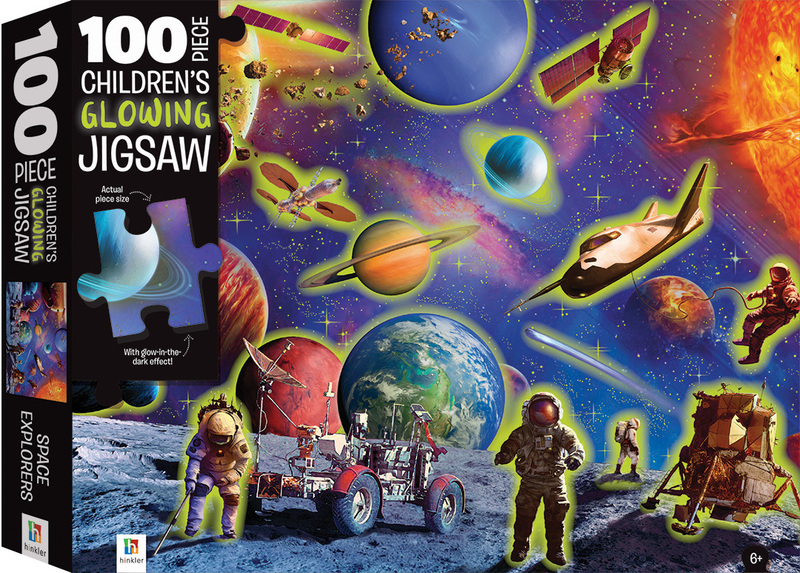 Puzzle pieces are large and thick for easy gripping by younger puzzlers so everyone can enjoy a space adventure! Charge up the glow-in-the-dark ink under house lights or sunlight and watch as the stars begin to shine!